Welcome to this beautiful home in Stetson Valley situated on over a 16,000 sqft lot. This home is a split 4 bedroom floor plan w/ a den with French doors. The stunning kitchen offers gorgeous upgraded cabinetry, granite countertops, gas range, stainless steel appliances, large island and walk in pantry. Kitchen also has built in breakfast area for everyone to enjoy as well as separate dining room area for more formal events. Master retreat is split from all other bedrooms and master bath has separate sinks, garden tub, oversized glass shower and walk in closet. Step out into the backyard oasis. This beautifully landscaped backyard is one of the largest homesite in Stetson Valley and ready for fun entertaining and it would be very easy to add a pool. This home will not last long! Directions: Go N on 55th Ave to Stetson Valley Pkwy, North to Inspiration Mtn Pkwy, West to Pinnacle Vista, N to Bent Tree, West to 58th, S to Straight Arrow. Home is on the South side of the street. Approximate size: 16288.00 sq. ft. Please, send me more information on this property: MLS# 5897343 – $490,000 – 5803 W Straight Arrow Lane, Phoenix, AZ 85083. 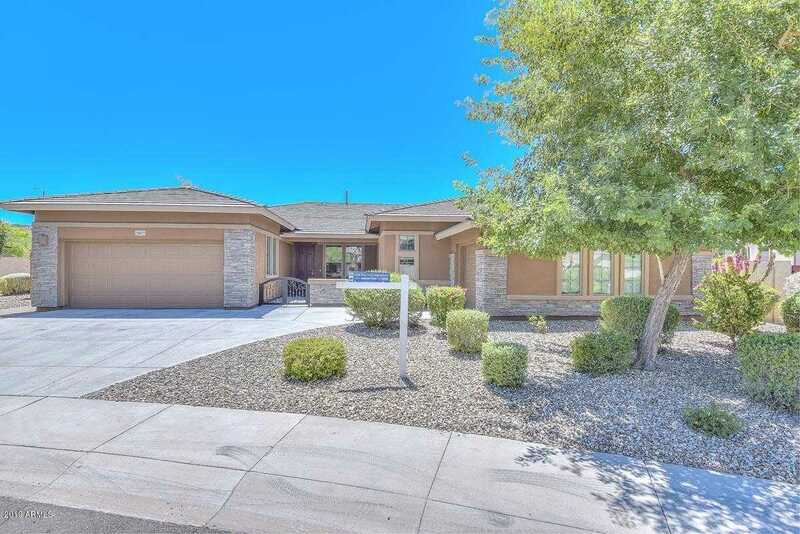 I would like to schedule a private showing for this property: MLS# 5897343 – $490,000 – 5803 W Straight Arrow Lane, Phoenix, AZ 85083.